Some fun tropical peelers with Javier Blanco and the Chloroformo Bodyboarding crew in the Cook Islands. Part 3 of the Forward Bodyboard Krew’s world tour, this time surfing the azure blue barrels of the Cook Islands. Samuel Thomas Bodyboarding around Tasmania and the South Pacific fimed in 2013// 3014. Music by Defeater. 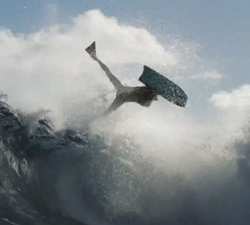 A sweet edit featuring Eric Gamez (Boog House) getting tunnelled off his nut in the Cook Islands. Edited by Ben Reeves. Join Jase Finlay and Nick Gornall on their South Pacific adventure as seen in Riptide Issue #201. Film: Eric Schnitzler. John Cruickshank and Eric Gamez scoring in Paradise. Filmed: Sarah Cruickshank. Edited: Jake Evans Media. Some action from the East Coast of OZ and Rarotonga with Kurt Gillan. Song: He Who Laughs Last by AFI. A few sweet GoPro views from Riley Conlon, shot during a recent trip he partook on to the Cook Islands.